Sycamore Tavern is the newest Hollywood spot from the Happy to Serve You Hospitality Group (Black Market Liquor Bar, Scopa Italian Roots). This local neighborhood destination offers a playful take on traditional American fare paired with craft beer and cocktails in a 10,000-square-foot space sporting 55 flat-screen TVs. Look for steak and burgers, pizzas, salads and smaller plates of smoked chicken wings or shishito peppers. Sweets include the signature deep-fried Fluffer-Nutter dessert with peanut butter, marshmallow, bananas and sea salt. Sycamore Tavern, 7038 Sunset Blvd., Los Angeles, CA 90028, 323-467-7038. Healthy eatery sweetgreen opened a new location in Culver City, debuting a menu with warm bowls like pesto portobello and organic wild rice with kale and beets. Also look for the chain's well-known colorful salads and DIY bowls featuring premium proteins like citrus shrimp, local goat cheese, roasted steelhead and house-made hummus. sweetgreen, 8840 Washington Blvd., Culver City, CA 90232, 310-660-7471. Former Patina chef Sevan Abdessian has transformed his casual Highland Park spot Recess Eatery into the new neighborhood gastropub 51 Tavern. A more “sharable" menu of tapas, small plates and craft cocktails are found in the remodeled venue that sports a lively sidewalk patio and garden setting in back. New dishes range from beer-battered Alaskan cod, sirloin sliders, edamame fatoush and shawarma tacos to labneh cheesecake and affogato for dessert. Lunch & Dinner daily. 51 Tavern, 5022 York Blvd., Los Angeles, CA 90042, 818-507-0592. 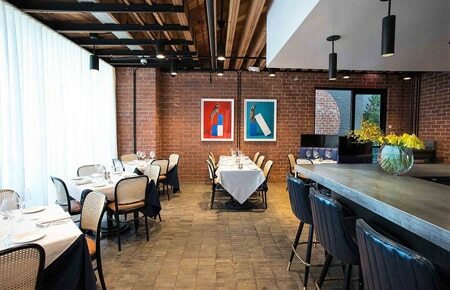 The Toscana Restaurant Group (Toscana and Bar Toscana) has debuted a new Italian restaurant, Nerano, in Beverly Hills. Expect cuisine of the Amalfi coast from chef Michele Lisi (Vincenti), a bar program from William Perbellini (Bar Toscana) and a wine list specializing in Amalfi coast wines. The spacious restaurant offers two dining rooms and two bars. Nerano, 9960 S. Santa Monica Blvd., Beverly Hills, CA 90212, 310-405-0155. 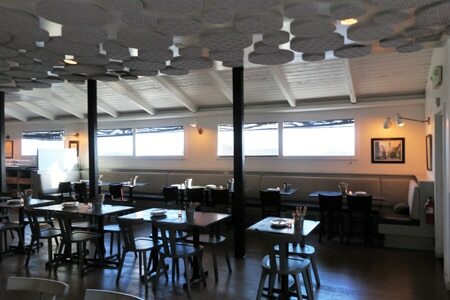 O+O Sicilian Kitchen & Bar opened in the former space of eLOVate Vegan Kitchen & Juicery in Santa Monica. The menu offers Sicilian-style pizzas, meatballs, salads and crudo made with local ingredients. O+O Sicilian Kitchen & Bar, 1705 Ocean Ave., Ste. 111, Santa Monica, CA 90401, 424-272-8700. TAO Group and celebrity chef Chris Santos will open a Los Angeles location of Beauty & Essex, the pawn shop/restaurant/lounge concept that originated in 2010 in NYC and has since expanded to Las Vegas. The restaurant group will also open a branch of Asian bistro TAO. Sweetfin Poké has opened a branch on Larchmont Boulevard. This quick-sevice spot, which started in Santa Monica, offers variations of the beloved Hawaiian seafood dish, including classic tuna, kale snapper, spicy yuzu salmon and mango albacore. You can also build your own bowl. Sweetfin Poké, 135 N. Larchmont Blvd., Los Angeles, CA 90004, no phone. Eggslut has opened a location in Venice. The concept started as a food truck, then continued to gain a following for its gourmet egg sandwiches with a quick-service counter at Grand Central Market. A Glendale branch is also in the works. Eggslut, 1611 Pacific Ave., Venice, CA 90291, no phone. Terra Cotta debuts a stylish upscale Asian dining option next to the Wiltern Theater in Koreatown in December 2016. Chef Danny Ye (Nobu NYC) will offer elegant delights including fresh oysters with Korean pear mignonette; Kochujang sea bass; Wagyu tenderloin; and hot stone rice with seaweed, ikura, caviar and sea urchin. Find wine, beer and cocktails, too. Terra Cotta, 3760 Wilshire Blvd., Los Angeles, CA 90010, no phone. Canela Cocina Latina in Mar Vista serves all-day breakfast, lunch and early dinner. Look for healthy Mexican and Guatemalan specialties including chilaquiles, asada fries, carnitas with pineapple salsa, seasoned squash, pollo en mole, enchiladas, pepian and cilantro lime salad. To drink find agua frescas, Mexican sodas and cold brew coffee. Canela Cocina Latina, 12326 Venice Blvd., Los Angeles, CA 90066, 310-313-0871. Bob Kaufman and Jeff Rosenthal went to great lengths (literally, as in trips to Turkey) to find the best döner (meat cooked and sliced from a vertical rotisserie) to recreate and adapt at their quick-service spot SpireWorks. SpireWorks, 1061 Broxton Ave., Los Angeles, CA 90024, 424-220-6299. Status Kuo has morphed into two separate concepts: Accomplice and Little Fatty. The former serves up craft cocktails, while the latter offers Taiwanese fare. Accomplice and Little Fatty, 3809 Grand View Blvd., Los Angeles, CA 90066, 310-574-7610. EAK Ramen has opened on Melrose Avenue, in the former Pingtung Eat-In Market space. Look for “Iekei” style ramen (translated as “house-style” and pronounced E-A-K), which has been popular in Japan for more than 40 years. This style of ramen is characterized by thicker noodles in a mix of Kyushu Tonkotsu and Tokyo Shoyu broths. The restaurant is currently offering dinner, and beginning on Saturday, November 19, 2016, it will be open for lunch and dinner daily. EAK Ramen, 7455 Melrose Ave., Los Angeles, CA 90046, 323-866-1866. New York City’s celebrated ramen restaurant Ippudo is opening its first West Coast location in Santa Monica in early 2017, in the former Taberna Arros y Vi space on 2nd Street. The self-proclaimed “Japanese Ramen Noodle Brasserie” will likely feature its signature Hakata tonkotsu pork ramen, Buddhist-inspired Shojin vegan specialties, and a variety of high-end Japanese small plates. Expect Japanese beer and saké, as well as a full bar. Ippudo, 1403 2nd St., Santa Monica, CA 90401, no phone. 21 Square Bar + Kitchen is open in the Torrance Marriott in Redondo Beach. Executive chef Victor Miguel offers handcrafted, coastal comfort cuisine ranging from a gourmet andouille sausage sandwich to quinoa burgers and table-made ice cream desserts. To drink, expect five local craft beers on tap, wine and cocktails. Seating options include outdoor dining and a veranda with a fire table, soft seating and tables overlooking the pool. 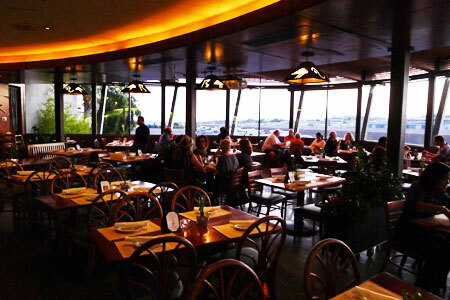 21 Square Bar + Kitchen, Torrance Marriott Redondo Beach, 3635 Fashion Way, Torrance, CA 90503, 310-316-3636. 800 Degrees Pizza continues its California expansion with its new Playa Vista restaurant opening on November 19, 2016. This will mark the 16th location of chef Anthony Carron’s Neapolitan-style pizzeria, which offers old world-style wood-fired pies made with hand-stretched dough. The new eatery boasts 3,800 square feet of space, including an outdoor patio, and will exclusively feature a selection of Neapolitan panozzo sandwiches made on pizza-dough bread, stuffed with artisanal ingredients and wood oven-baked until crisp. Also find artisanal gelato and a selection of craft beers and wine, including eight beers on tap. 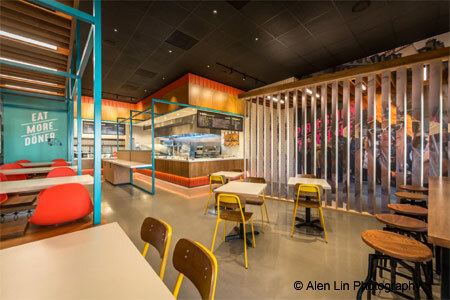 800 Degrees Pizza, Runway Playa Vista, 12751 W. Millenium Dr., Ste. B135, Playa Vista, CA 90094, no phone. Q, DTLA’s high-end omakase spot known for its traditional Japanese experience, is officially launching a special, premium menu. Chef Hiroyuki Naruke will add seasonal items to the new Botan menu like hairy crab from Hokkaido, lobster sashimi from Santa Barbara and boiled prawn nigiri. Because of the extra preparations and sourced ingredients, this menu requires 48 hours’ notice, and starts at $250. Q, 521 W. 7th St., Los Angeles, CA 90014, 213-225-6285. 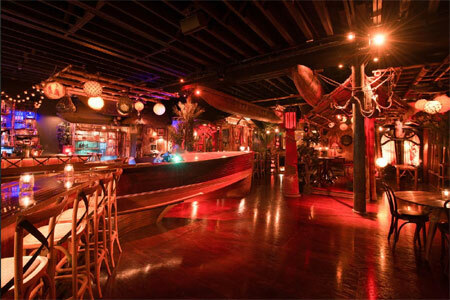 In downtown LA, the historic Clifton’s Cafeteria and nightlife venue opened a swank tiki bar, The Pacific Seas. It is accessed via a secret staircase. Look for colorful murals, thatch work, vintage artifacts and live Polynesian performers. The bar’s vintage Chris Craft mahogany boat deck serves classic tiki cocktails (think Mai Tais and Fog Cutters) and Polynesian cuisine from Clifton’s chef Andrew Pastore, including a bluefin tuna poke platter, lump crab cakes, lobster dynamite and a crispy whole red snapper. The Pacific Seas is open Tuesday and Wednesday from 5 p.m.-midnight, and Thursday through Saturday from 5 p.m.-2:30 a.m. The Pacific Seas, 648 S. Broadway, Los Angeles, CA 90014, 213-627-1673. CJ Jacobson has left Studio City’s Girasol and former chef de cuisine Justin Abram (The Bazaar, Scarpetta) has become the new executive chef. Look for a revamped menu coming soon. Girasol, 11334 Moorpark St., Studio City, CA 91602, 818-924-2323. The Churchill has welcomed new executive chef Stephen Trujillo (Bouchon, Tar & Roses), who is revamping the gastropub’s menu with the likes of duck confit and sunchoke hash, Moroccan spiced lamb, and wild octopus with black olive, pickled peppadew pepper and cauliflower. The Churchill, 8384 W. 3rd St., Los Angeles, CA 90048, 323-655-8384. Adam Fleischman and Stephen Gelber’s Spanish restaurant smoke.oil.salt. on Melrose Avenue has closed. smoke.oil.salt., 7274 Melrose Ave., Los Angeles, CA 90046, no phone. Chef Sevan Abdessian (Patina) closed Recess Eatery in Highland Park and reopened it as 51 Tavern, a neighborhood gastropub. Recess Eatery, 5022 York Blvd., Highland Park, CA 90042, no phone. The Santa Monica and Santa Barbara branches of The Hungry Cat have shuttered. The original Hollywood location of chef/owner David Lentz's seafood restaurant will remain open. The Hungry Cat, 100 W. Channel Rd., Santa Monica, CA 90402, no phone. 21 Choices frozen yogurt shop in Pasadena is temporarily closed while the building undergoes renovations. 21 Choices, 85 W. Colorado Blvd., Pasadena, CA 91105, 626-304-9521. Typhoon, one of Santa Monica’s most charming and iconic spots, closed on November 8, 2016, due to rent increases and the possible future closure of the Santa Monica Airport. Typhoon, 3221 Donald Douglas Loop S., Santa Monica, CA 90405, no phone. “Top Chef” Michael Voltaggio’s Sack Sandwiches has closed on the Sunset Strip. 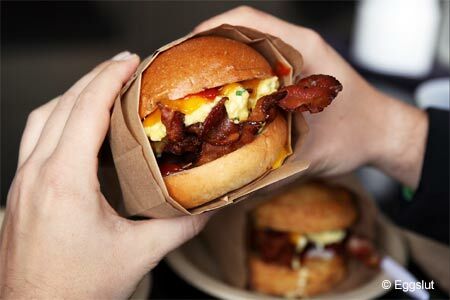 Fans can still get their fix at Voltaggio’s flagship Sack Sandwiches (originally ink.sack) on Melrose, or at LAX Bradley terminal’s ink.sack branch. Sack Sandwiches, 8915 W. Sunset Blvd., West Hollywood, CA 90069, no phone.